Our Girls Deserve More — Mom’s Passionate Post About Marketing Diet Culture to Our Daughters is Spot On! If you’ve ever tried dieting, watching what you eat, buying healthier foods, or simply lived a day in 2019, you’re probably familiar with the term, “cheat day.” It’s the phrase we all-too-commonly use when we’re trying to be “good” about eating healthy or giving up a bad habit, but just have to give in for a day…or three. It’s slang that we throw around casually and don’t often think much about. 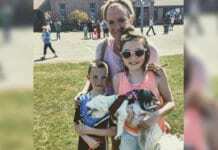 But one mom is bringing it to the internet’s attention this week after stumbling across a lunch box intended for young girls with the words “cheat day” plastered on the front of it. 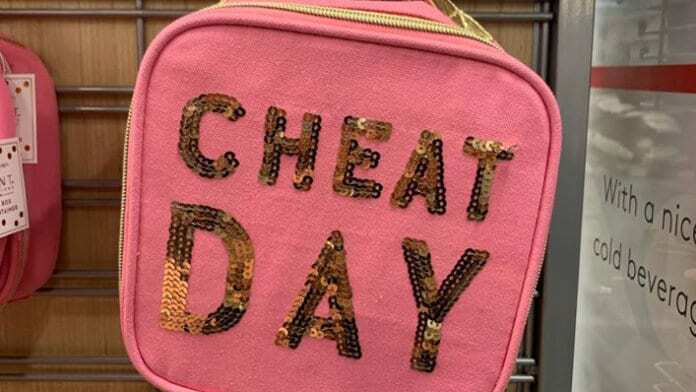 Sonny Abatta was shopping at a popular department store over the weekend when she came across a pink lunch box with “cheat day” spelled out in gold sequins across the front. 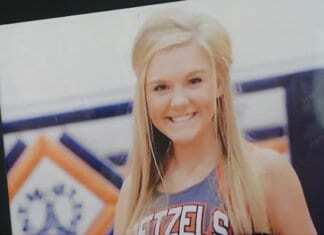 “I am SICKENED that this phrase is on a lunch box,” Sonni wrote in a Facebook post Sunday night. “We scratch our heads when we see our little girls struggle with body image, with self worth, with confidence. Sonny goes on to explain that the mere idea of a young girl thinking she has to control her body image, weight and appearance is unacceptable. And the consumer market ENCOURAGING those thoughts and lifestyle is downright disgusting. “Our world is telling our girls that it’s ‘cheating’ if they eat something that’s not 100% fat-free and perfectly healthy. In turn, that tells them that self-control and denying herself is to be valued above all. And that if she dares to step outside of the foods that will keep her perfectly slim and trim, then she is by default “cheating” and needs to feel some sense of remorse. She even made the point that many often forget when it comes to raising daughters, and that is: would we raise our boys this way? 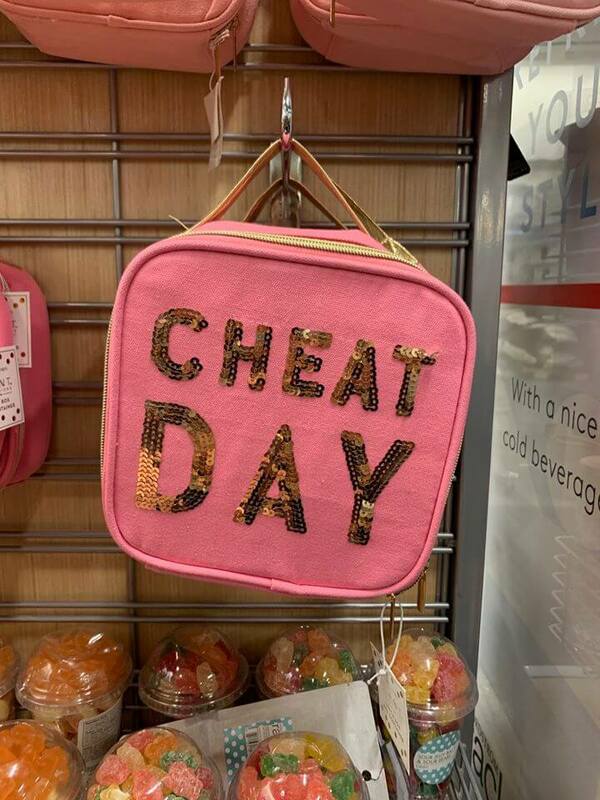 Is there a blue lunch box that says “cheat day” on the front of it? We don’t make our boys feel bad about what they eat. In fact more often than not, we boast about how they’re eating us out of house at home. So why, WHY, of all the things we could be teaching our daughters, would we be teaching them to place self-image above all, and INDULGE on purpose as a means for superficial satisfaction. “So here’s what I want to say, and what I will tell my girls,” Sonni continues. “Girls–you are not ‘cheating’ when you enjoy good food. You are not “cheating” when you eat pizza. You are not ‘cheating’ when you have a cookie, or two, on occasion. You are not ‘cheating’ when you live in moderation and allow yourself things that make you happy. Several Facebook users commented on Sonni’s post arguing that the lunch box may not have been intended for girls, but rather, for women. I’m sorry, is that supposed to justify this? Are we really okay with saying that we expect more from the market for our girls, but it’s okay to encourage women to place their body image above everything else? Women, girls, boys, men, I don’t care who is buying this pink lunch box, it shouldn’t be plastered with a degrading encouragement. Can we not do better than this? Imagine how many of those lunch boxes would sell if we were ACTUALLY encouraging girls to become STRONG, healthy women. Men. Boys. People. Our daughters deserve better, and I for one am glad this bold mama took a stand!